Rain has been falling hard for quite some time now which has given a fresh look to most of the country side and our rivers. There has been no pattern to our forecast but you could say we have had for seasons in one day again with thunder, sunny periods, rain storms and topped of with blustery wind throwing hale stones. The best advice I can give you to guys is just to get out and give it all you have got and accept it for what itÂ is don’t waste time thinking about it just do it. I expected the Tongariro to be really flooded but to my suprize it has just come up to a perfect fishing level which will also be encouraging more fish into the systen and in particullar big brown trout. I was actually hoping for a bit more rain because I just knew this would set Lake O on fire and we could again have some fun with these big fish once they had let their guards down due to dirty water and flooded margins. Back country rivers would have been in flood or too high to safely fish but should have fallen to a fishable level by now and will be fishing very well due to the rain we have had. 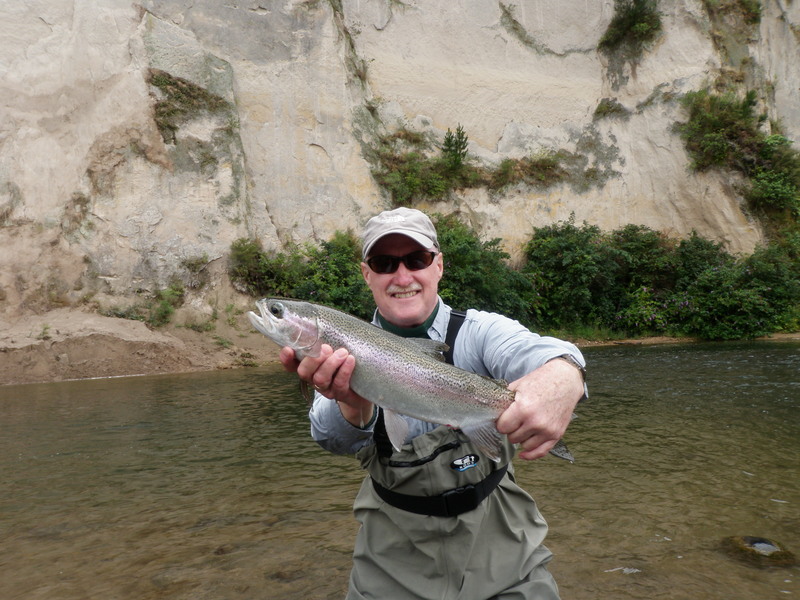 There is always a catch to receiving rain and it seems I always miss out on or have to cancel work but it does the rivers the world of good and makes them fish better for longer over the summer. 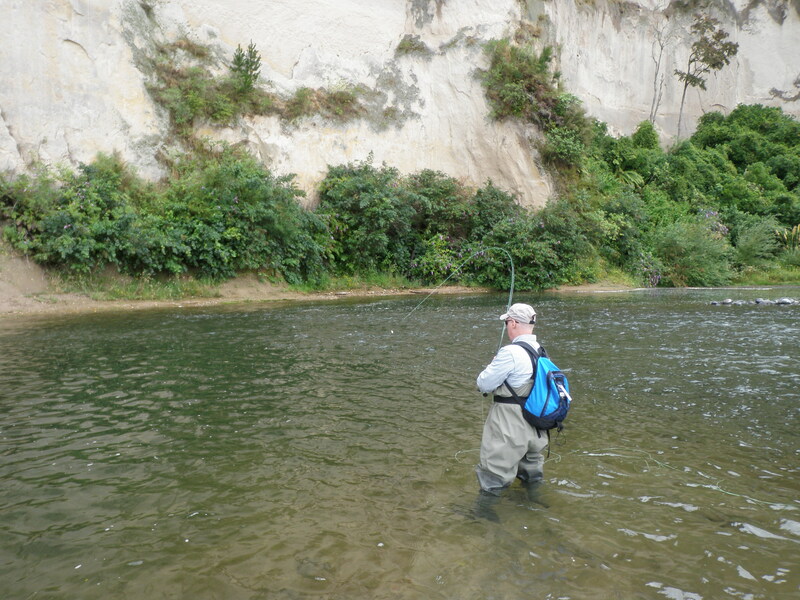 It also is great for Taupo rivers as it gets most of the summer slime of the rocks and brings new fish into the system which we desperately need at this time of the year. 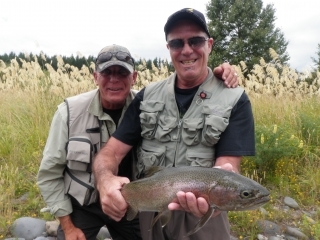 Pressure on the back country is slowly dropping off and some more public spots are seeing less anglers and less campers so fishing should recover in the next few weeks and these places should again be options for most. Still the Taupo rivers are free of anglers and thisÂ is where most of my guiding is being done at the moment with varying results. It would be wrong of me to say the fishing was badÂ at the moment butÂ I would like to use the term “challenging”. 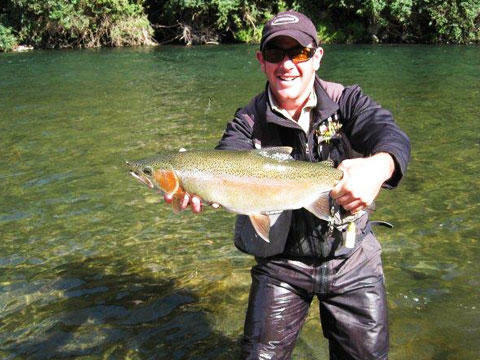 Anglers doing well are trying different nymphs and waking around different pools instead of going to the pool that they like best and fishing it for 3 days. Dry fly has again been patchy with good evening rises but not much about during the day which would make me switch to the dry. We really need a week of hot weather to rescue the Cicada’s or I feel that they will not come in any decent numbers at all. I was talking to the number one fly tyer in Hawkes Bay the other night and he assures me that they are in full swing over that way so hopefully some good weather from there will be shared around and we can again enjoy some surface action. Guiding is still pretty busy with some really exciting jobs coming up so hopefully will have some great photo’s for you all to enjoy and be jealous of soon. There are still spaces for Febuary and we can fit you in on a day that will suit you or your mates so just drop as a drag free line and we will see what we can do for you.